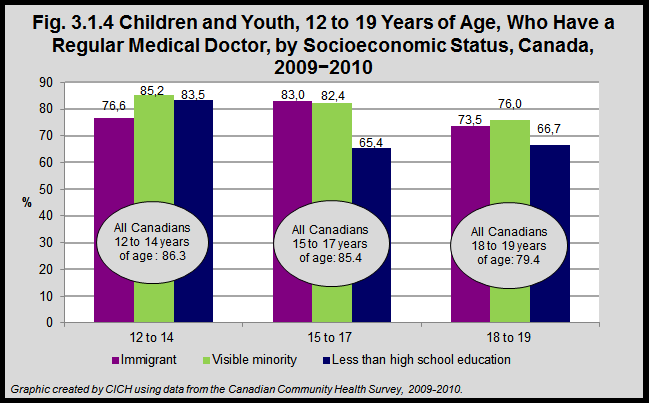 Across all age groups, access to a regular medical doctor was lower among youth from lower family socioeconomic backgrounds, relative to the Canadian averages. The most pronounced differences were found among youth in older age groups from households where the highest level of education attained was less than high school. Survey data do not include First Nations children living on reserve. This may result in undercounting of children with inequities in access in some provinces/territories.